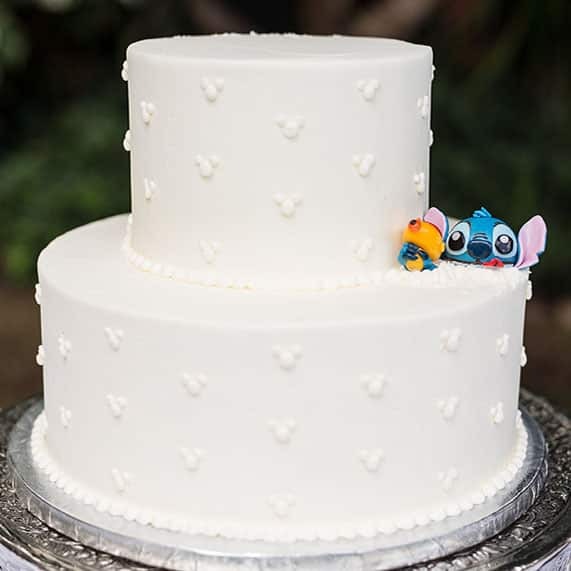 Experiment 626 is on the loose and he has taken refuge in this delicate white wedding cake with elegant Mickey details! Stitch's sweet tooth may have gotten the best of him this time as he seems to be trapped in the icing of this Aulani treat that pays tribute to the animated feature Lilo & Stitch. 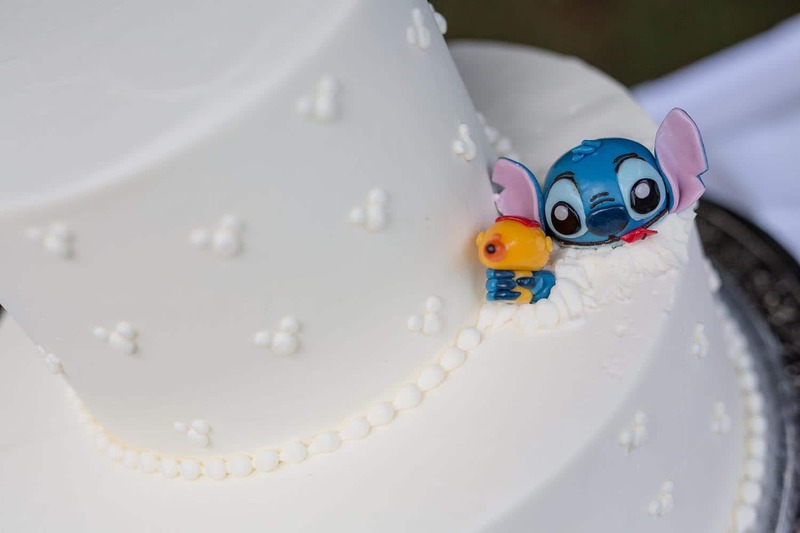 A small addition to an otherwise simple masterpiece, Stitch adds just the right touch of character to this classic cake.